Blue seems to be a really popular wedding decoration color! The way the chairs are decorated really compliment the blue! This is absolutely perfect for a ceremony. 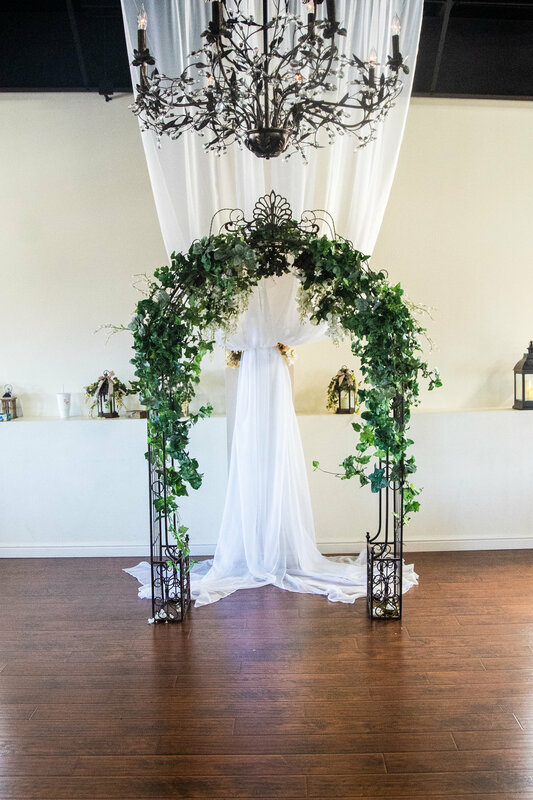 Seeing a couple stand underneath this during their big day makes everything super special and elegant! Our tables here at Old Towne can really go with any decoration. Options are limitless when it comes to decorating the tables! If you would like to tour our venue then give us a call! We would love to walk you through Old Towne and answer any questions you may have! We host weddings, parties, reunions, and more!